check the site. on facebook. There is only one problem with Watchtower by Pelin Esmer and that is the fact that being a Turkish film by a woman director it stands a slim change of actually being watched by the minority who would want to watch it let alone by big numbers of international cinema goers. The film will be relegated to Festivals and similar events where it will run once for a limited audience of critics and peers. Other than that, viewers around the world will have to buy it online (which they can do here) of else wait for the film to be available online somewhere, hopefully on vimeo on demand, like two other films by the same director, Play and 10 to 11). The ironic and tragic story is fairly simple: by a twist of fate, a man and a young woman who have suffered severe loss and pain are drawn to each other and forced to share a small place. The girl had been sent by her family to an uncle's house since the university she had been accepted to was nearby. But the uncle rapes her and she finds herself shamefully pregnant. Seher does not go back to her family but instead finds work at a small and remote bus station as a hostess and later, when the cook resigns over lack of wages, a cook. The man has applied for a job as a watchman on a isolated watchtower in the mountains. Taking refuge from the world, after his wife and only child die on an accident for which he is responsible, he stops at the bus station where his attention is drawn to the girl. Seher finally gives birth to the child by herself in the station's basement, wraps the baby up, leaves it by the side of the road and walks away to the night. The watchman sees her from the bus station's window, follows her and rescues the baby. They both end up together at the tower where Nihat presses the girl to feed the baby and to rock it to sleep. The situation is not melodramatic but intimate. Looking at the woods from the tower, the characters look at themselves. Space is not open but an abyss. The location is highly symbolic: the woods for inner selves, the tower for isolation, the bus station for meeting point and crossroads to the future. The story is all about loss and surviving it. The possibility of overcoming is hinted but not certain. One of the most remarkable images of the film is that of Seher bathing herself after having given birth. Her body reflects the exhaustion and the relief of having expelled an undesired baby. It retracts onto itself in a blue atmosphere. But it also exposes the body of a recent mother, the swollen breasts and the distended belly. Such an intimate, gentle and brutal moment. Nilay Erdonmez, a young actress, had to shape her body to the character: with the help of a dietitian she gained ten kilos, most of them on her breasts and belly. 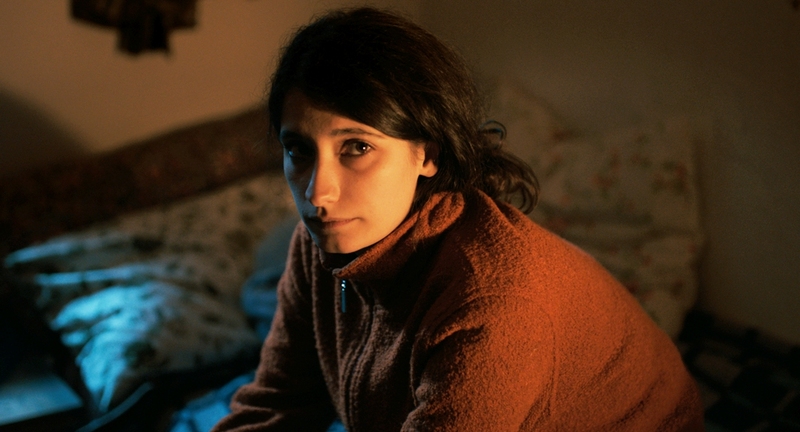 This was Pelin Esmer's third film, another sucessful graduate from the Boğaziçi University. Her further projects need to be followed. este é o filme que eu tinha perdido no festival Olhares do Mediterrâneo e a sua realizadora, Pelin, é uma mulher. (ohmy, i can actually watch this, "For Mr. Mithat, Istanbul is as unlimited as his collection." ) and this.